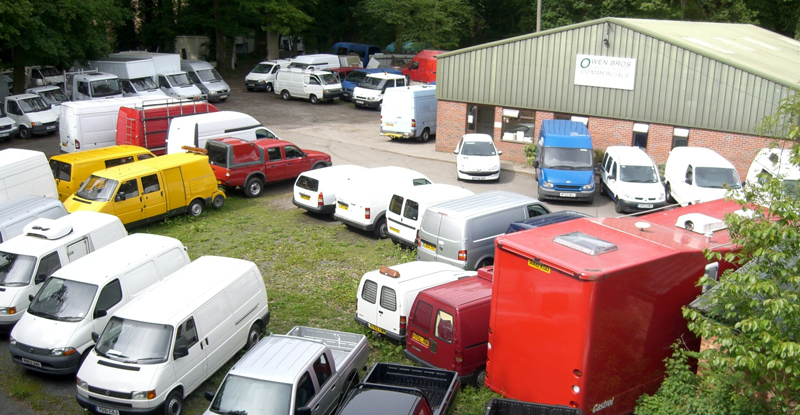 We have been a major supplier of used commercial vehicles to the local businesses and people of Herefordshire for nearly 50 years, and will continue selling vehicles from our site in the woods just beyond Rotherwas. However, as of 18th September 2017 our self-drive hire section - now named "Owen Bros Rentals", having been purchased by the folks at Rotherwas Service Station, will begin operating from their base on the straight mile at Rotherwas (HR2 6BQ). I think you will agree that Rotherwas Service Station is a more convenient location for current and new self-drive hire customers alike, and will complement the services that they already offer there. With our guidance, they will be continuing with the same good value, friendly, efficient service that we have prided ourselves on – please continue to support them with your business as you have us. We would like to thank from the bottom of our hearts all the customers who have hired from us over the years, and hope you can join us in wishing Rotherwas Service Station and Owen Bros Rentals, all the best in their new self-drive hire based adventure! A local family business founded in 1969 - Owen Bros Commercials has grown into one of Herefords premier used commercial van sales, servicing and repair centres. We have been a major supplier of commercial vehicles to local businesses for nearly 50 years. Our expertise over this period of time in all aspects of the used vehicle trade makes us one of the most experienced in the country. Our team have extensive knowledge in vehicle values, mechanics and bodyworking, so we can advise you with confidence regarding the right choice of vehicle for your business. With 50+ vehicles to choose from and the ability and knowledge to source what we don't have available, we are confident we can make your transport needs hassle free and keep your costs to a minimum.